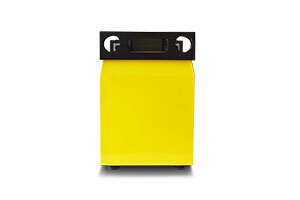 Previously, customised battery packs had to be developed for each individual vehicle model. The time taken up by this process created additional risks and meant that electric vehicle manufacture was only profitable with larger production runs. 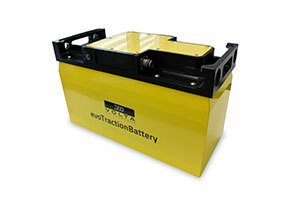 In contrast, ecovolta’s evoTractionBattery is already certified as a universal solution and can be quickly put to use. “We estimate that vehicle manufacturers using a battery with an operating voltage of 48 volts and a capacity of 10 kilowatt hours (kWh), for example, will be able to save a total of 250,000 to 500,000 euros in development and certification costs,” says CTO Paul Hauser. “And things can move a lot faster, too. Our customers are generally looking at a development time of up to 2 years for a battery pack and the accompanying battery management system. 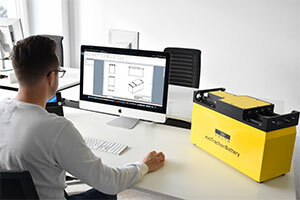 The evoTractionBattery, on the other hand, can be configured within a few hours, whether it’s being used in a golf cart or a lorry,” adds Hauser. This standardisation cuts the costs per kilowatt hour of electricity stored, lowering the barriers to entry for companies looking to move into e-mobility. 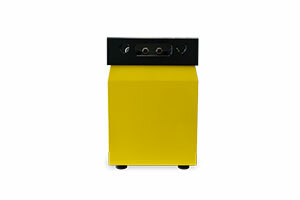 It covers aspects of the dimensions, capacity levels and electronics. Users of the evoTractionBattery receive fully documented certification for all battery packs, including the crucial UN 38.3 certification for transport safety. 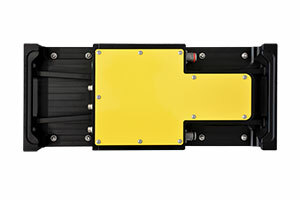 The integrated battery management system enables master-slave operation as well as connection of the batteries to a CAN bus. 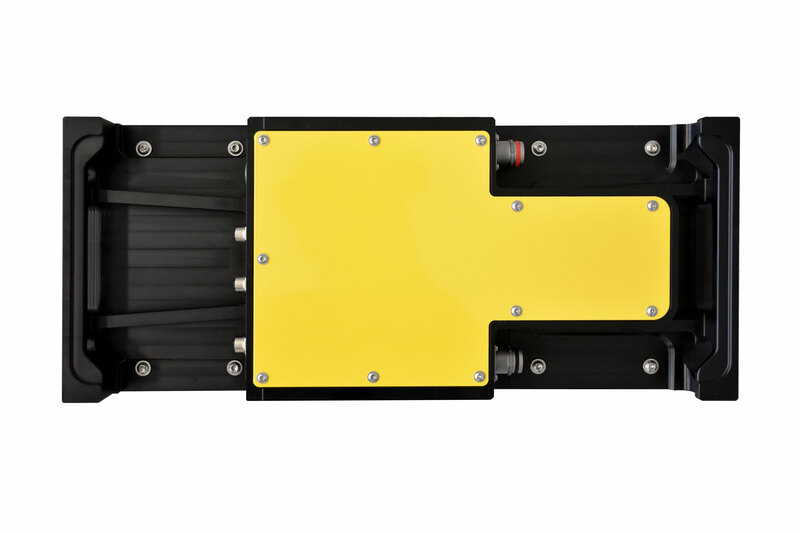 This allows the batteries to exchange data with the higher-level control system, which is essential for safe and efficient vehicle operation. The safety technology, relay and precharging are also integrated. The evoTractionBattery is available with a voltage of 24 volts, 48 volts and 400 volts as well as a capacity of 2.5 kWh to 15 kWh. Up to 16 batteries can be connected in series in any configuration, and up to 32 strings can be connected in parallel,	allowing a battery voltage of between 24 and 829 volts and a total capacity of up to around 7,600 kWh. Every individual battery module has a fixed length of 520 mm and a width of 218 mm, while the height depends on the voltage and capacity. This creates clear parameters for the vehicle design. The Swiss ecovolta produces customised high-capacity battery systems and e-mobility solutions. 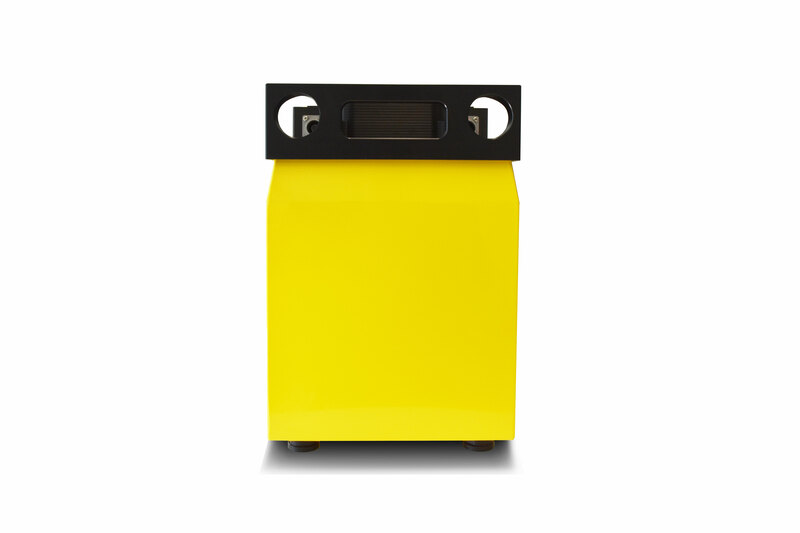 The company’s patented design enables the fully automated series production of high-current capable batteries which do not need active cooling. Battery and drive solutions are developed and tested in the in-house research and development area. ecovolta has its headquarters and Swissfactory production plant in Brunnen/Schwyz, Switzerland. Please click on the pictures for a high resolution download.